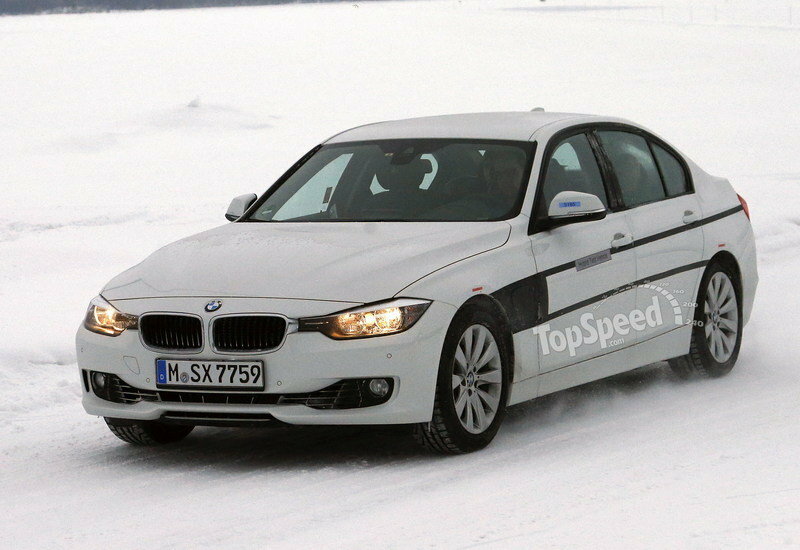 BMW has massive plans for the 2016 BMW 3 Seres Plug In Hybrid. Though they may not be evident in the beginning, what they will influence by 2022 will revolutionize the EV world. Hybrids and plug-ins are becoming big business these days and even the generally performance-oriented big dogs are getting in on the action. BMW is one of them, and Munich’s vehicle of choice for a plug-in hybrid is the current-generation 3 Series. 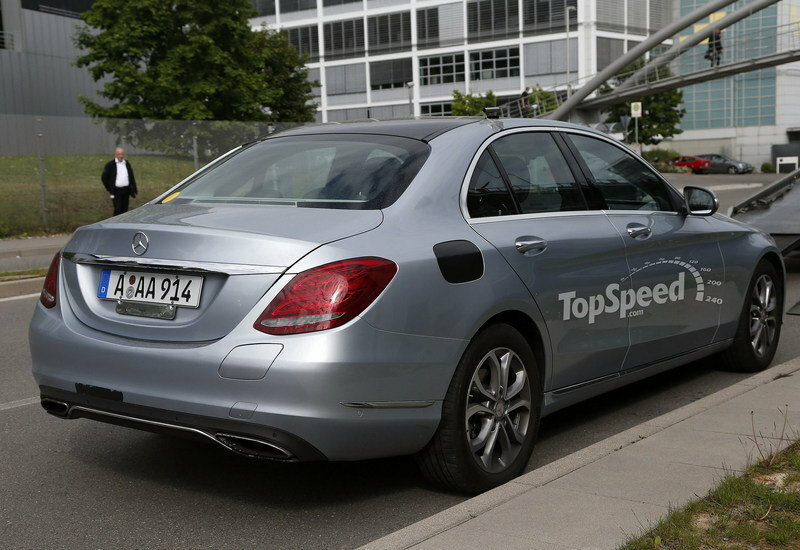 The sedan has been under development for more than a year now, with the first test vehicle being spotted on public roads in February 2014. 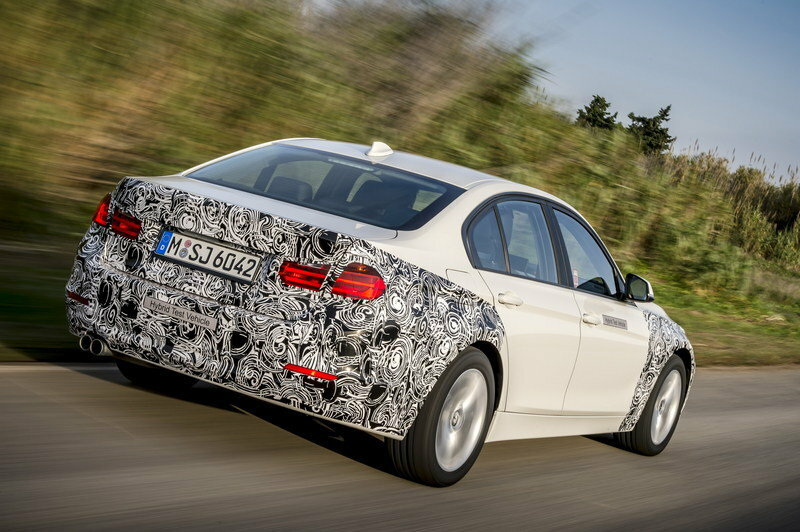 As we step into the 2015 model year, the Germans are revealing the first details surrounding the 3 Series Plug-In Hybrid, thus confirming the iconic nameplate is becoming a bit more fuel efficient. BMW is no stranger to hybrids — we have the i3 and the i8 as proof — but the 3 Series is the first already existing vehicle to go that route. To enable the four-door return improved fuel economy, BMW paired the proven twin-turbo, 2.0-liter, four-cylinder engine with an electric motor based on the technology launched with the innovative i3 and i8. Details are still scarce as of November 2014, but it seems the 3 Series Plug-In Hybrid has what it takes to give its competitors a run for their money. Read on to find out what we know so far. 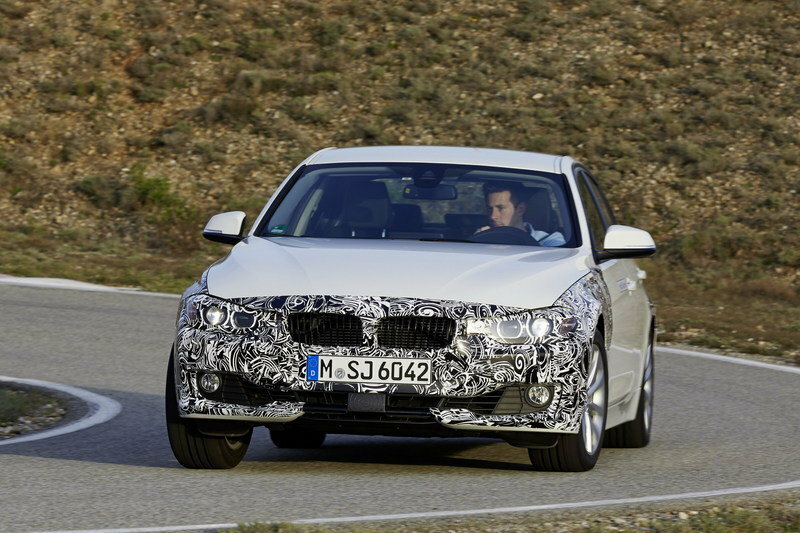 Updated 11/27/2014: BMW unveiled the first official details and images on the future 3 Series Plug-In Hybrid. Check the new details after the jump. Click pas the jump for more info on the BMW 3 Plug-In Hybrid. 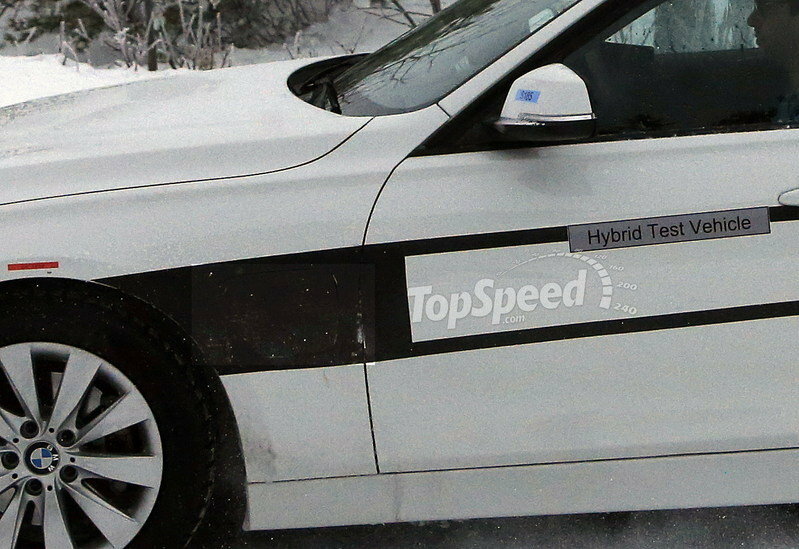 There’s really not much to see on this test mule except the telltale "Hybrid Test Vehicle" sticker and charging port the BMW cleverly tried to hide. Other than that, this is you run-of-the-mill 3er doing its thing in that white, cold, slushy stuff. 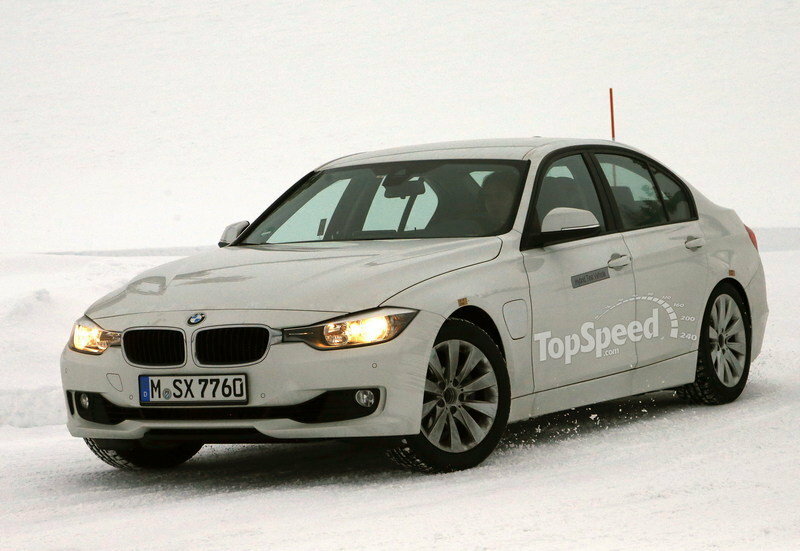 As suggested by the preliminary spy shots, the 3 Series Plug-In Hybrid is nearly identical to its gasoline counterparts as far as styling goes. 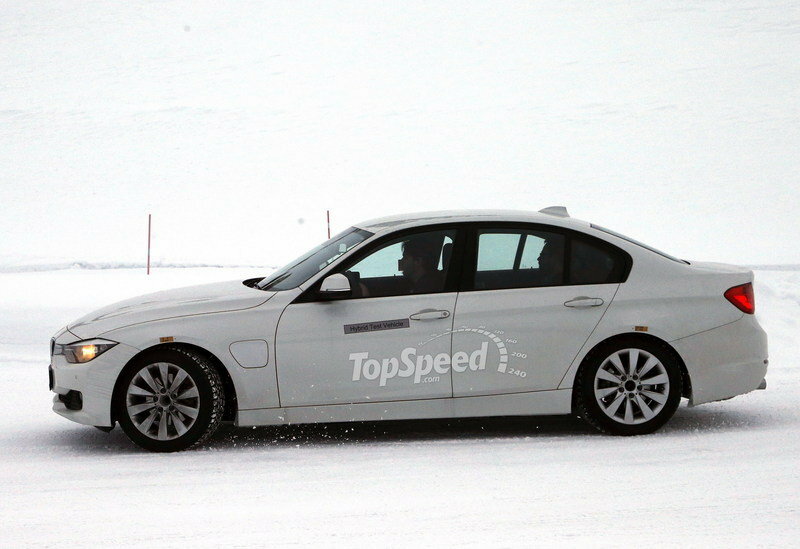 The official photos released by BMW as of November 2014 show car partly camouflaged vehicle, but don’t expect any design changes over the gasoline-powered 328i model this hybrid is based on. The only thing that sets its exterior apart is the charging port and the "328e" badge that replaces the standard model’s "328i" lettering. Of course, the Germans could offer a few additional features and options, but we’ll find out more about that when the full details are out. 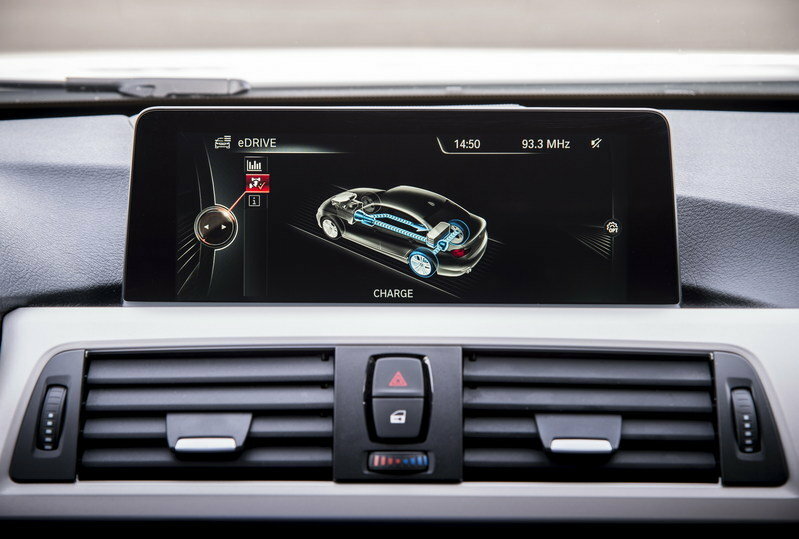 The interior is also identical to the regular 3 Series’, with only the center display featuring different options, in accordance with the vehicle’s new hybrid drivetrain. 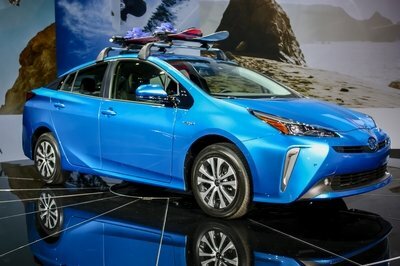 Drivers can choose between two different plug-in hybrid modes. There’s the MAX eDrive mode, which uses the car’s stored energy to move on all-electric power and with zero emissions. The second mode is called SAVE Battery and keeps the battery at a constant state of charge. When the battery is less than 50 percent charged, the system increases charging level so that drivers have enough power to operate in all-electric mode when needed. A special Proactive Driving Assistant feature is also available with the 3 Series Plug-In Hybrid navigation system. The feat manages the drivetrain in reference to battery capacity, as well as upcoming routes, speed restrictions and traffic conditions. 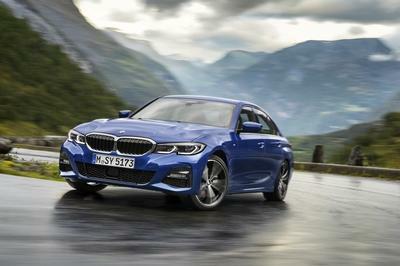 The 3 Series Hybrid’s drivetrain consists of the twin-turbo, 2.0-liter, four-cylinder gasoline engine found in the 328i and an electric motor powered by a lithium-ion battery. BMW says the combo delivers a combined output of approximately 245 horsepower and 295 pound-feet of torque, which translates into a 5-pony and 40 pound-feet increase over the standard 328i. Performance figures aren’t yet available, but BMW says the prototype has a driving range of about 22 miles and reaches a top speed of 74.5 mph in all-electric mode. The sedan burns approximately two liters of fuel for every 100 km, which means 116 U.S. mpg. 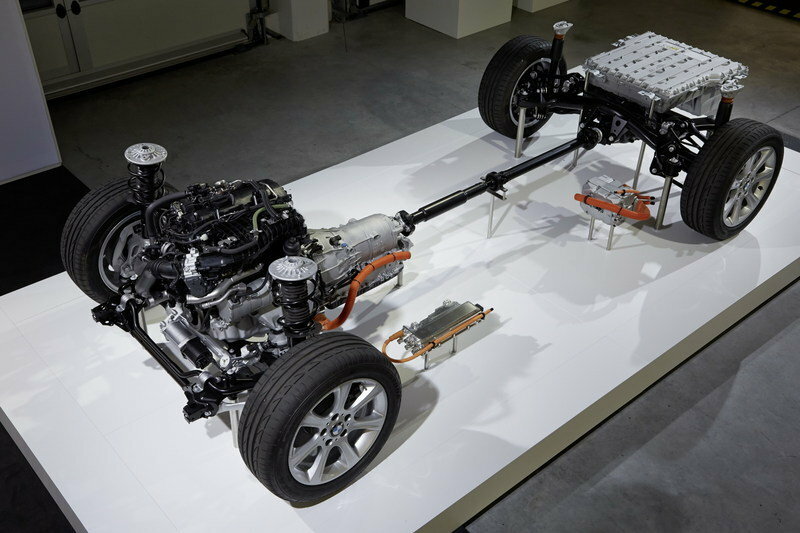 Based on the eDrive technology developed for the BMW i3 and i8, the electric motor uses a state-of-the-art battery management system and a high-efficiency direct cooling system. The battery, which is located underneath the trunk, can be recharged at any household power socket. BMW has yet to release pricing information or a launch timetable, but we’ll be right back as soon as the Germans spill the beans. Chevrolet has been selling the Volt with great success since 2011. 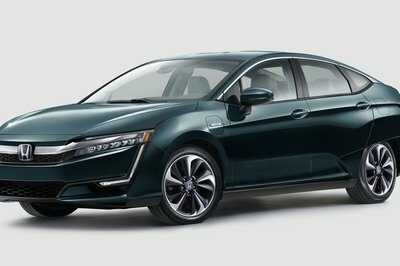 In four years on the market, the Volt became the best-selling plug-in hybrid in the United States and the most popular hybrid the 3 Series Plug-In Hybrid will have to compete against in North America. The Volt’s electric motor, which is powered by a 17-kWh lithium-ion battery, generates 149 horsepower and 273 pound-feet of torque and has a range of 38 miles. A 1.4-liter four-pot that acts as a range extender kicks in once the sedan runs out of electric power, contributing with an additional 84 horsepower and 67 pound-feet of torque. 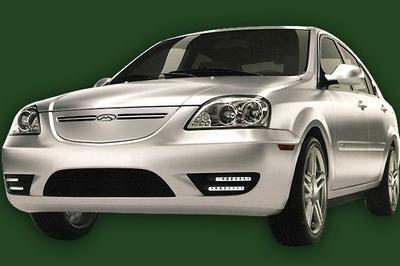 The four-door is able to travel up to 382 miles when using both units, which translates into a combined fuel economy of 62 mpg. Performance-wise, the Volt has a top speed of 100 mph and can sprint from 0 to 60 mph in 8.7 seconds. Pricing starts at $34,995 before incentives, but the federal tax credit could lower the sticker to $27,495. 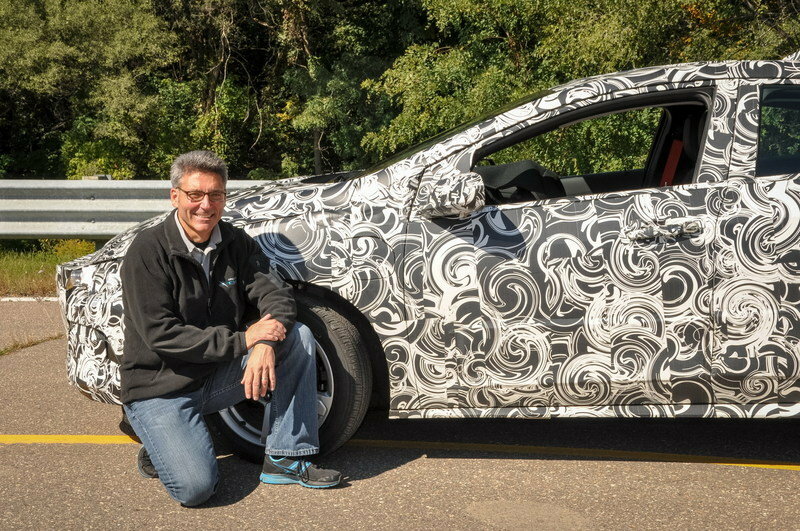 A redesigned Volt is scheduled to arrive for the 2016 model year. Mercedes-Benz is working on a compact hybrid of its own, pretty much using the same recipe as BMW went for with the 3 Series Plug-In Hybrid. Although Mercedes has yet to drop any official details, the C-Class hybrid is likely to combine the standard 2.0-liter four-banger rated at 211 horsepower and 258 pound-feet of torque with a 70-pony, 140-pound-feet electric motor. The Merc should be able to return at least 78 mpg. Rumored to break cover sometime in 2015, the C-Class Plug-In Hybrid will be relatively unchanged as far as styling goes, with only a rear bumper-mounted socket setting apart from the gasoline and diesel models. 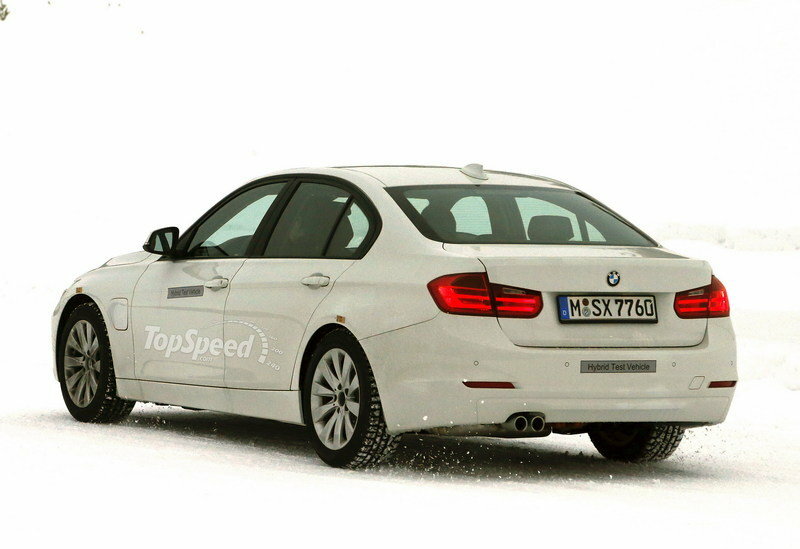 A wagon version of the hybrid is also in the works. It’s rather difficult to draw a conclusion with most of the official details and specs still under wraps, but it seems BMW is about to launch a stout competitor for the plug-in hybrid market. With a similar C-Class already underway, the two German companies will engage into yet another battle in the compact segment. 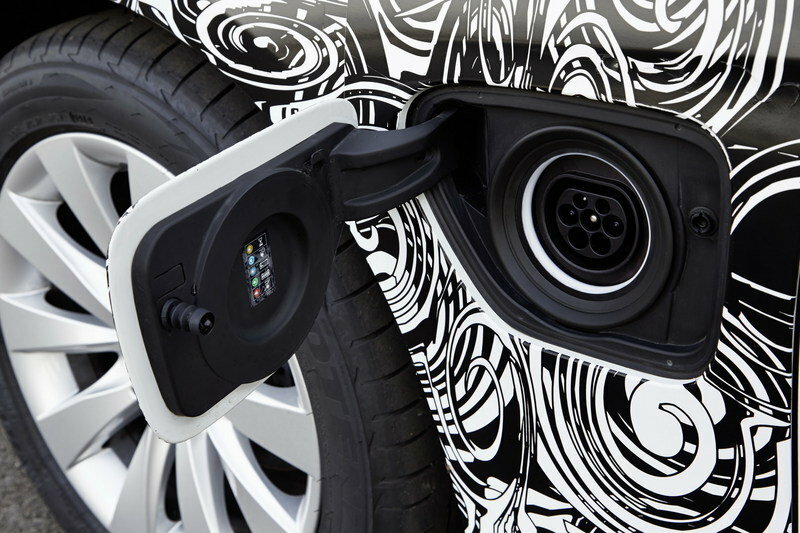 Outstanding flexibility, which means it can be integrated in a wide range of different vehicle concepts, makes rapid deployment of this plug-in hybrid drive technology in the BMW model range a feasible and realistic proposition. 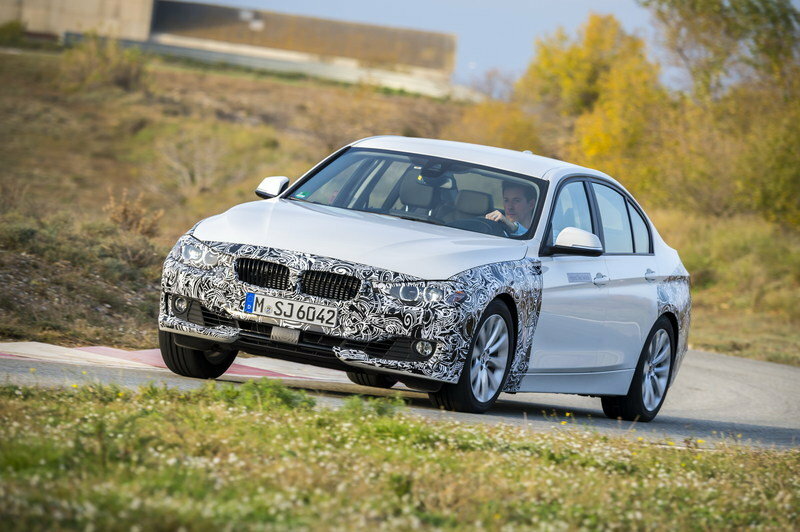 The BMW 3 Series plug-in hybrid prototype provides a first taste of the extra-efficient driving pleasure which the world’s most successful premium sedan will offer. 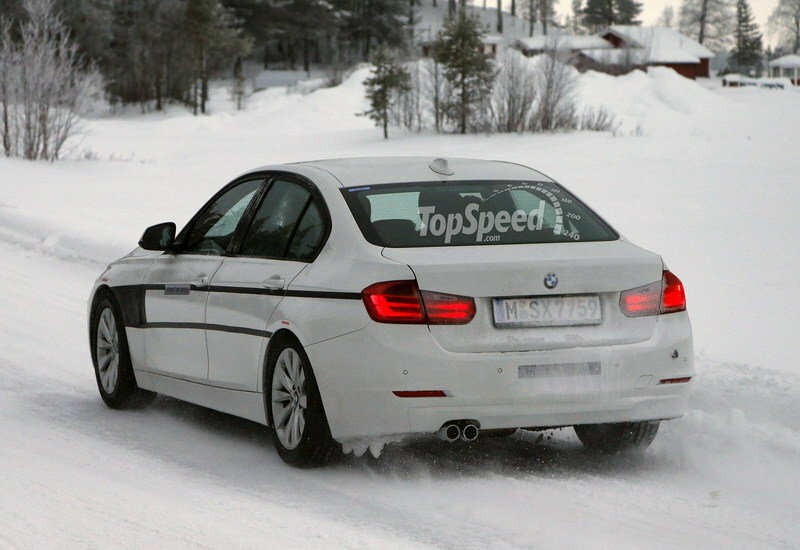 Combining a four-cylinder TwinPower Turbo petrol engine from the new Efficient Dynamics engine family with an electric motor, the BMW 3 Series plug-in hybrid prototype offers standards of sporty performance on a par with a conventionally powered BMW 3 Series six-cylinder model, combined with a significant reduction in fuel consumption. Its plug-in hybrid drive system has a combined output of approximately 245 hp and maximum combined torque of approximately 400 Newton metres (295 lb-ft). These figures, together with the substantial extra acceleration provided by the electric motor’s boost function, bring a sharp and intensely dynamic dimension to everyday motoring. Average fuel consumption and CO2 emissions are approximately 2 litres/100 km (140 mpg imp) and 50 g/km respectively. 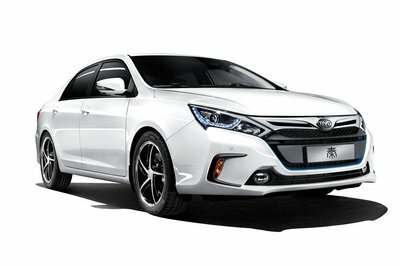 In all-electric mode, the prototype is capable of a top speed of 120 km/h (74.5 mph), and has a driving range of approximately 35 kilometres (22 miles). The BMW 3 Series Sedan provides the ideal starting point for developing an exceptionally dynamic and fuel-efficient plug-in hybrid model. The conventional combustion-powered models already set standards in the mid-sized premium segment with their blend of sportiness and frugal fuel consumption. This is down to factors such as intelligent lightweight design, best-in-class aerodynamics and an extensive range of standard-specification BMW EfficientDynamics technologies. The power electronics form a single integrated system that drives the electric motor, via a liquid-cooled inverter, manages the energy flow from the high-voltage battery to the onboard electrical systems and provides centralised control of hybrid-specific functions. The drive torque from engine and electric motor is supplied to the rear wheels of the BMW 3 Series plug-in hybrid prototype via an 8-speed Steptronic transmission which – as on conventionally powered BMW models – makes its own additional contribution to the efficiency of the overall drive system. 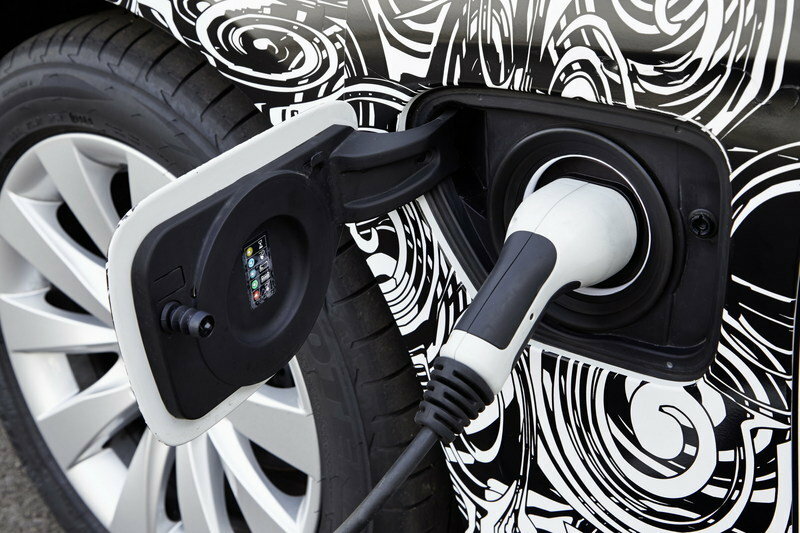 At the press of a button, the driver can choose between different plug-in hybrid modes. The MAX eDrive mode provides all-electric, zero-local-emission propulsion. Selecting the SAVE Battery mode keeps the battery at a constant state of charge. If the battery is less than 50 percent charged, the charge level is increased. In this way drivers can ensure they have enough power in reserve to operate in all-electric mode on a later, urban section of the journey. 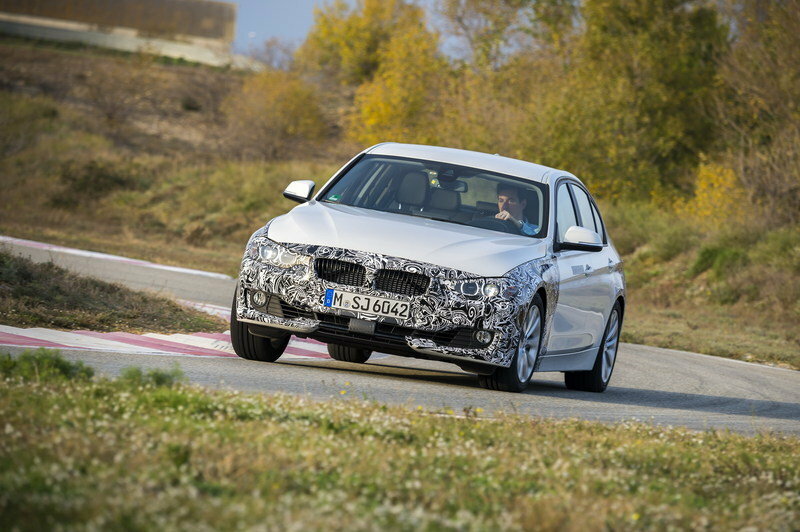 The BMW 3 Series plug-in hybrid prototype also features a special hybrid-adapted Proactive Driving Assistant. Integrated in the navigation system, this system manages the powertrain not only with reference to current battery capacity but also to upcoming route profile, speed restrictions and traffic conditions. 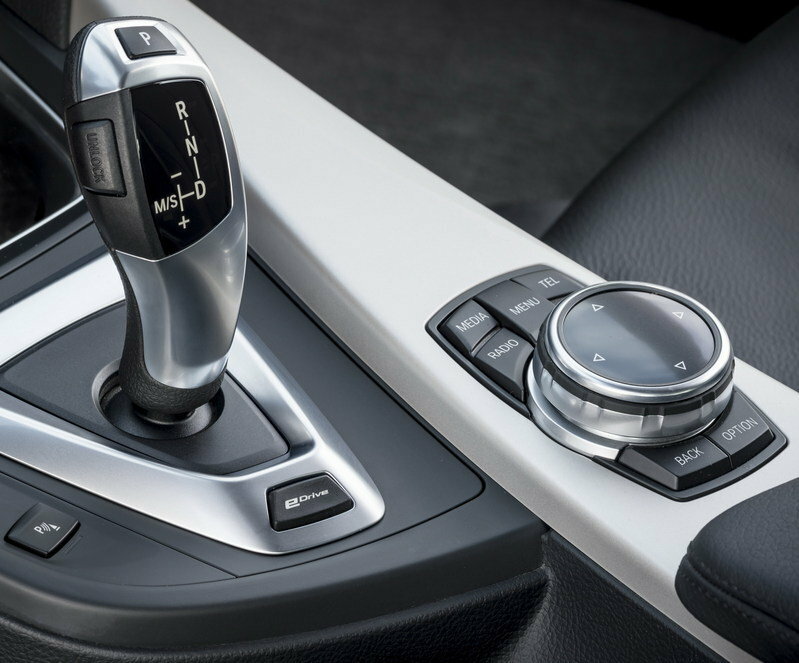 This function marks the most extensive and advanced integration to date of BMW EfficientDynamics and BMW ConnectedDrive. Whenever the navigation system is in operation, the hybrid Proactive Driving Assistant collates all the available information about the upcoming route and relays this to the powertrain controller. This information comprises both static data from the interactive map, for example about speed restrictions and gradients, and also real-time information on current traffic conditions (Real Time Traffic Information – RTTI). The proactive energy management system then breaks the route down into its component parts, including low-speed sections, last-lap sections and gradients, before computing a proactive, route-specific strategy for managing the electric drive power right through to the specified destination.